Wilma Irene Hubbard, 96, of Hawesville, walked into the arms of Jesus on April 2, 2019. She was born on December 23, 1922 to the late Oscar and Lena Adams. Irene was a loving mother, sister, grandmother, great and great great-grandmother. 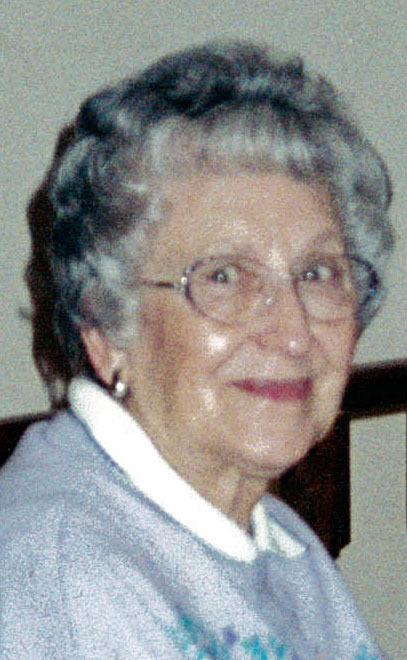 She was a faithful member of Hawesville United Methodist Church for 77 years, where she served as Sunday School Superintendent and a Sunday school teacher for many years. Irene was preceded in death by her husband, Joe Hubbard; two brothers, Robert Adams, Edward Adams and a sister, Colleen Adams Corley. She is survived by her children, Wilma Jo (Ed) Oliver and Freddie (Malinda) Hubbard; four grandchildren, Dale (Nora) Oliver, Teresa Hubbard, Shonna Oliver Wilson and Debbie (Aaron) Brown; 13 great grandchildren; 8 great great-grandchildren; a sister, Murlene Tarrant; a brother, Russell Adams and many nieces, nephews and cousins. Services will be held at 2 pm on Saturday, April 6, 2019 at Hawesville United Methodist Church with burial following in Serenity Hills. Visitation will be held from 10 am until service time Saturday at the church. Memorial donations may be made to Heartford House or United Methodist Home for Children. If you need help with our website please contact David Houston or Charles Clark toll-free at 1-877-502-5099.